HopWatch for Reddit is an Android TV app that will let you keep up to date with the latest images, GIFs, and videos, right from the comfort of your couch, and with the luxury of watching them on your TV. The app covers the “hot” threads from the “pics”, and “videos” subreddits, as well as the “movies” subreddit. 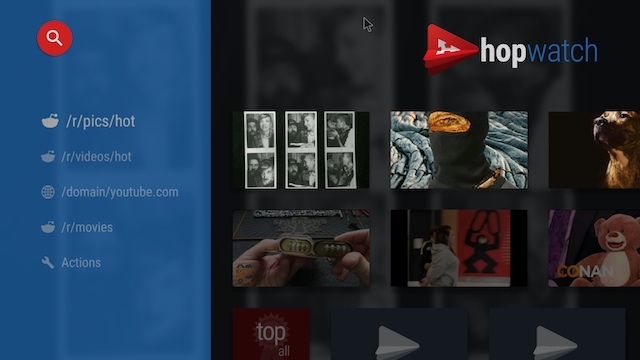 It also comes with a built-in search function, that will let you easily search for videos, images, and GIFs on the front page of the Internet. The app is specifically designed with Android TV in mind, and works very well. Android TVs don’t come with a web browser installed, which is understandable, but still quite disappointing. 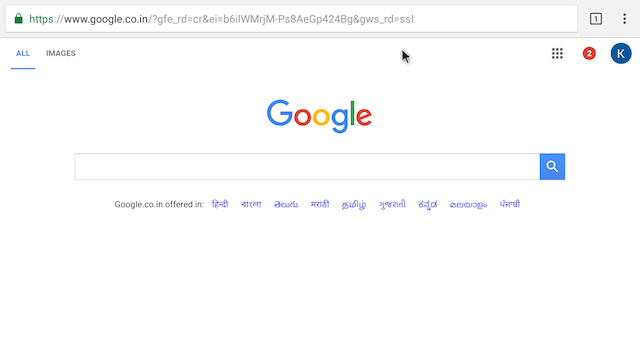 However, if you want a web browser on your Android TV, you can easily install a browser such as Google Chrome. With Google Chrome installed, you can browse the web, and do a lot more on your Android TV. Since we are installing a fully fledged Android app, it will have every feature that the Google Chrome app has on an Android phone. However, Google Chrome is not available in the Android TV Play Store, which means you will have to sideload it. You can read our article on sideloading apps on Android TVs to learn how you can do this. Android TV boxes such as the Mi Box come packed with a plethora of applications, ranging from music and video streaming apps, to news applications. However, if those news apps don’t meet your needs, you should check out Haystack. Haystack is a news app that you can use to stay updated on a variety of topics, from Science and Technology, Politics and Current Events, to Games, and Movie Trailers. 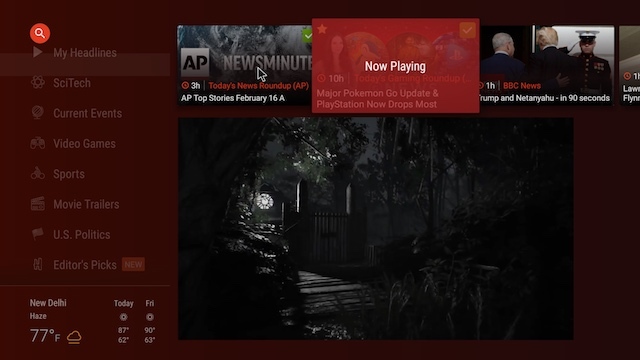 News items are presented in a nice fluid interface, which is perfect for an Android TV set up. Also, the way things are laid out is exceptionally well thought out. Haystack brings news curated from a number of sources, such as AP, BBC News, CBS, and many more. 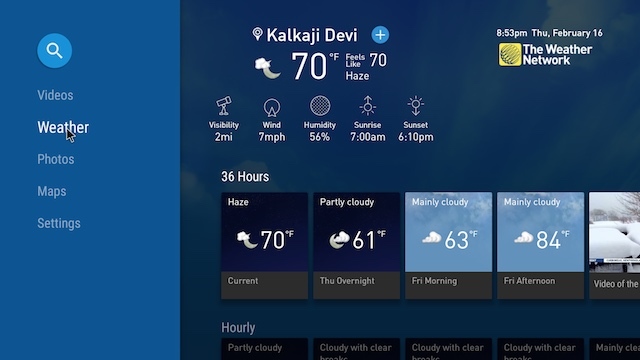 Plus, there is a handy “weather pane” on the bottom of the window to keep you updated with the weather in your location. Kodi is perhaps one of the most powerful media center applications out there. The app can be used to manage all your media into one central location, which can even be set up to be accessed remotely. Along with that, Kodi’s abilities can be enhanced with a number of Kodi add-ons that add on a lot of power to the application. You should definitely use Kodi on your Android TV if you have a lot of media stored on your Android TV, and are looking for a way to quickly organize all of it, with a proper hierarchy. 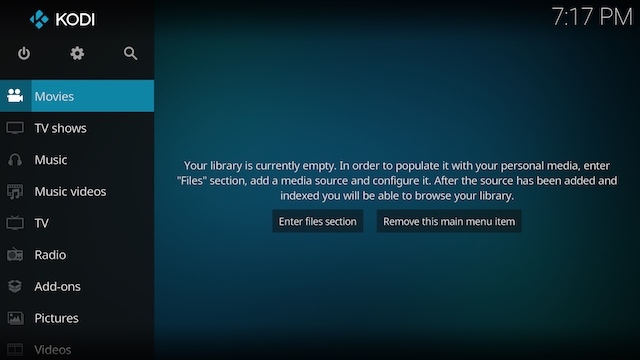 Any extra media that you may add to your device after you’ve set up Kodi, will automatically be sorted into the proper categories, and arranged into the locations you have decided. 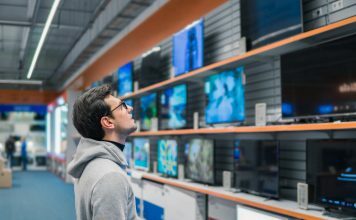 Kodi’s add-ons also help it support almost any audio, and video format that you may throw at it, making it a very versatile solution for consuming media on your Android TV. A file manager app is one of the most important things on any device. After all, how else will you transfer files between your Android TV, and your laptop, mobile, etc? 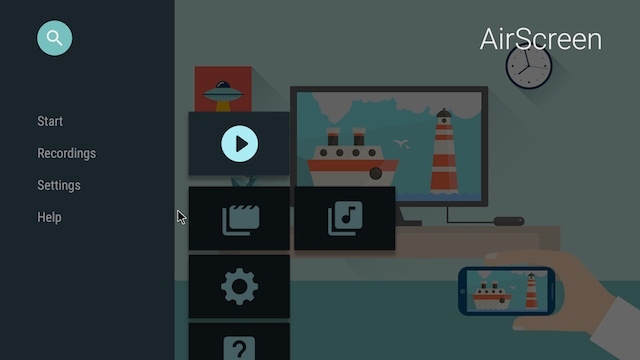 Also, how will you manage stored files, screenshots, and more on your Android TV? Well, that’s where ES File Explorer comes in. ES File Explorer is a feature-rich application that can perform a plethora of functions on your Android TV. 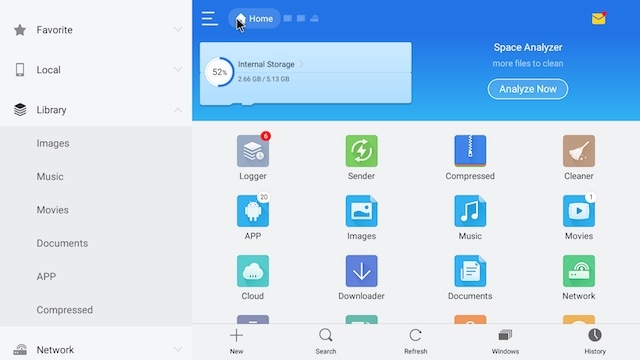 You can manage all your files (obviously), but you can also connect to a Cloud drive service, create an FTP, or SFTP session with your computer to transfer files, and more. Having a VPN application never hurts. It helps to keep you anonymous while browsing the internet, and can be used to circumvent geographical restrictions placed on a lot of online content. Unless you want to pirate stuff, Tunnelbear is one of the best VPN apps you can use on your Android TV. Even though the app is not yet optimized for Android TV, it works perfectly fine, and actually looks rather good. 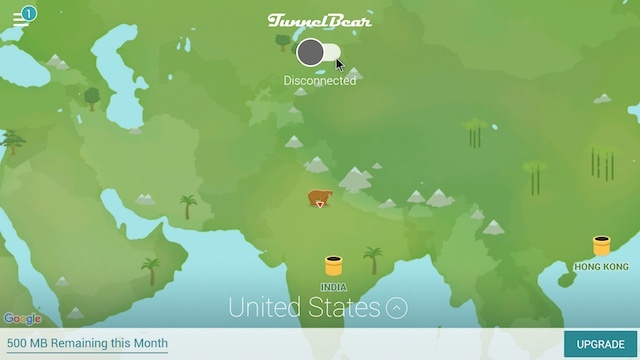 Tunnelbear gives you 500 MB data free every month, and you can buy one of their paid subscriptions to increase this limit. For basic browsing, though, 500 MB will probably suffice you. Do note that Tunnelbear will not let you download items that use P2P protocols, for security, and legal reasons. There are a lot of other VPN apps for Android that you can use, as well, should Tunnelbear not meet your expectations. When it comes to streaming music, Spotify is undoubtedly the best way to go. With the Spotify app on your Android TV, you can stream music directly through your Android TV, itself. The best part about using Spotify, is that it has a free tier service, as well. However with the paid subscription, you get unlimited track skipping, and no ads between songs. 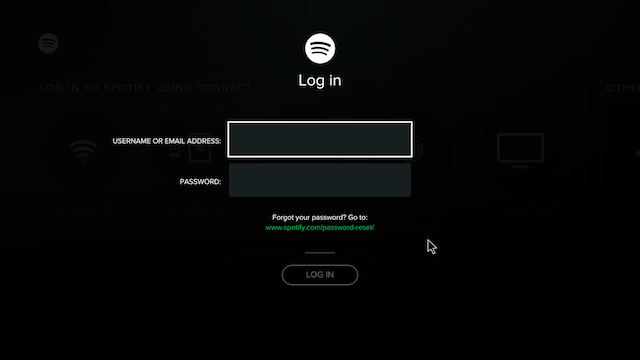 On Android TV boxes like the Mi Box, Spotify comes pre-installed, and you just need to sign in with your Spotify account in order to start streaming music. Netflix is to video streaming, what Spotify is to music. It is one of the most popular movie, and TV show streaming platforms in the world. 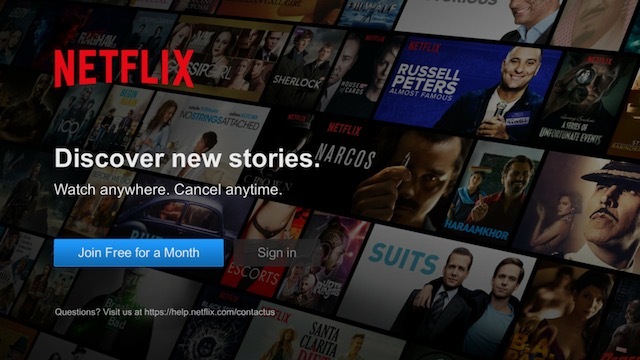 And now that Netflix is available almost everywhere in the world, chances are, you have a subscription already. Even if you don’t, I highly recommend that you give Netflix a try. It has a wide variety of TV shows, and movies to choose from, and you will definitely find something that interests you. 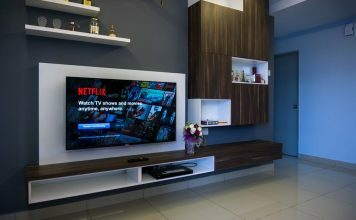 The Netflix app comes pre-installed on Android TV boxes, like the Mi Box, and you can simply log in with your Netflix account to get started with binge watching your favourite TV series. 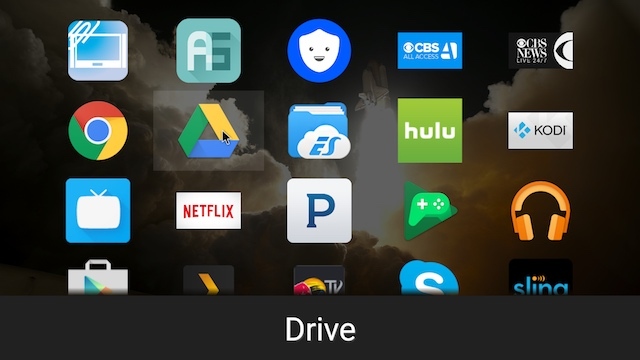 If you like the idea of having access to your files on your Android TV, there is no better way than using Google Drive. With Google Drive on your TV, you can easily access all of your cloud data, and view it on your Android TV. 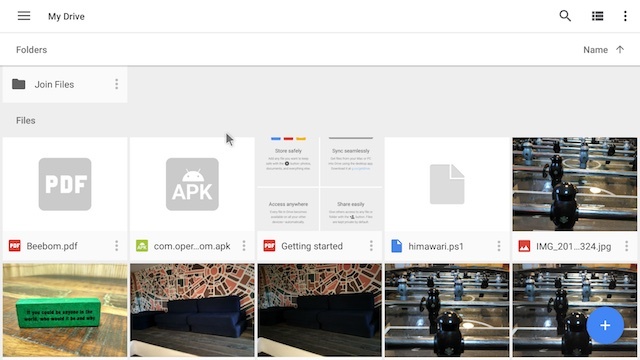 While the Google Drive app is not yet available on the Android TV Play Store, you can easily sideload the APK from websites such as APKMirror. VLC media player is a very popular video playing app, and with good reason. The app supports almost every file format, and can playback videos encoded in a wide variety of codecs. VLC can even easily decode videos that use the HEVC H.265 codec. Add to that the intuitive interface, and the stability that VLC offers, and you’ll know just why VLC is so widely used. 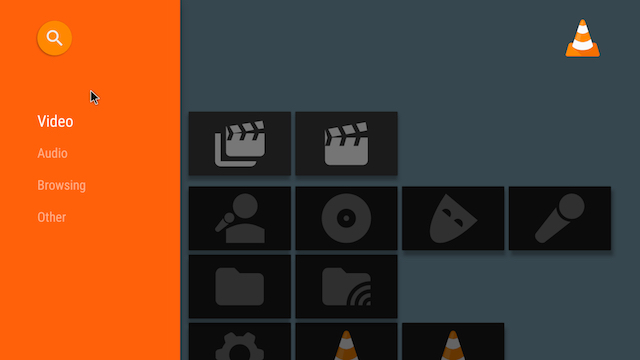 The VLC app automatically categorizes your media into Video, Audio, and other. Plus, with the settings inside the app, you can control things like hardware acceleration, and more. VLC comes pre-installed on Android TV boxes like the Mi Box, but can be easily installed as it is available on the Android TV Play Store. You must have noticed that a lot of the Android apps we’re installing on our Android TV have to be sideloaded. This is perfectly fine, but the problem is that sideloaded apps do not show up in the default Android TV launcher. This is exactly where Sideload Launcher comes into play. The app is developed by Chainfire, and displays all of the sideloaded apps on your Android TV. This is the only way you can launch sideloaded apps on an Android TV; at least as of now. So, if you’re planning on sideloading apps on your Android TV, you should definitely install this launcher. There are some other launchers that perform the same function as Sideload Launcher, but I found this one to be the best. Another really great media center application that you can use, is Plex. The Plex application is not as powerful as Kodi, and doesn’t really have as many plugins either. But where Plex shines, is in the simple way things are laid out in the app. Where Kodi might look (and feel) intimidating, Plex has a user interface that is immediately friendly, and will have you hooked in no time. That is, once you have figured out how things work. 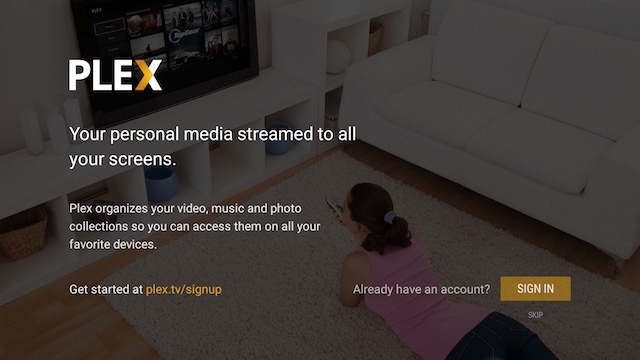 To use Plex on your Android TV, you will need a Plex server on another laptop, or computer, which can be accessed by your Android TV over WiFi. Once that is done, you can playback any media file on your Plex server, directly on your Android TV, without the hassle of any wires, transferring files, etc. The Weather Network is a beautiful weather app for your Android TV. 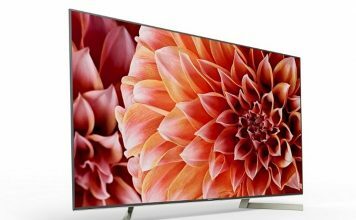 The app has been specifically designed to work well with Android TVs, and it really shows. There are a number of sections inside The Weather Network, including “Videos”, “Weather”, “Maps”, and more. You can go to the “Weather” section to view the current weather at your location, as well as a 36-hour, and hourly forecast. The app even gives a 14 day forecast, if you need to check the weather that far off. There are definitely a lot of potential advantages to using this app, including the fact that you can quickly get a glance at the weather conditions (along with the traffic on your route) every morning before you leave for work. If you’re a fan of watching live streams of various players (both professional, and amateurs), showing off their gameplay, Twitch is the place to be. The app is kind of like the place where people post live streams of them playing different games. While this may sound like a silly past-time to a lot of you, for gaming fans, this is a great thing. It’s always a lot of fun to watch others play, both for entertainment, as well as for learning new things about the way they approach the game, and the challenges it offers. 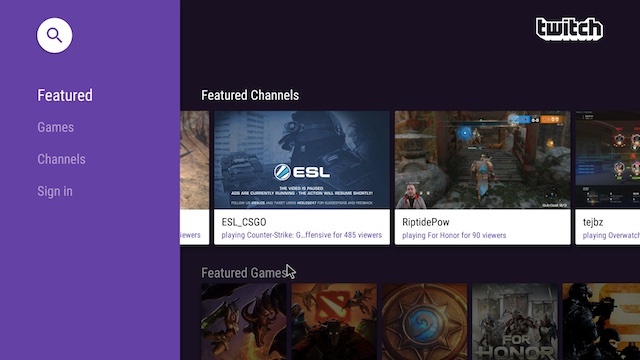 You should definitely check Twitch out, if you’re even a little bit into gaming. 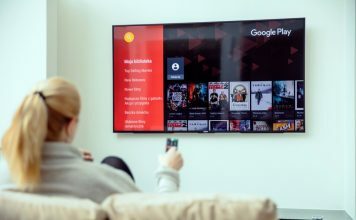 Android TVs come with support for Google Cast, so you can easily cast any audio, video, or image from your Android device to your Android TV, and watch it there. However, what if you own an iPhone, and you’d like to stream music, or videos playing on your iPhone to your Android TV? iPhones don’t support Google Cast, but they do come with AirPlay – the feature that allows users to stream content to Apple TVs. If you want to stream media from your iPhone to your Android TV, you can use an app like AirScreen. 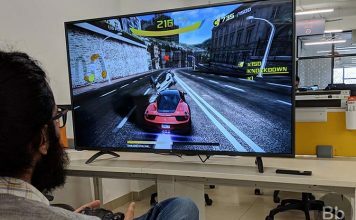 This app puts an AirPlay server on your Android TV, and basically makes your iPhone think that your Android TV is in fact an Apple TV, allowing you to cast your iPhone’s screen to your Android TV. Android TVs come with a lot of really awesome apps pre-installed (at least the Mi Box did), but there are a lot of other apps that you can install on your Android TV to get even more out of it. There are apps to keep you updated with the latest news around the world, tell you about the weather, help you relax with a movie, after a long day at work, and a lot more. These were the 15 best Android TV apps you can use on your smart TV. As always, we would like to know your thoughts about Android TVs, and the limited ecosystem of apps that are built around it. Also, if you know of any other app that deserves to be on this list, do let us know about it in the comments section below.